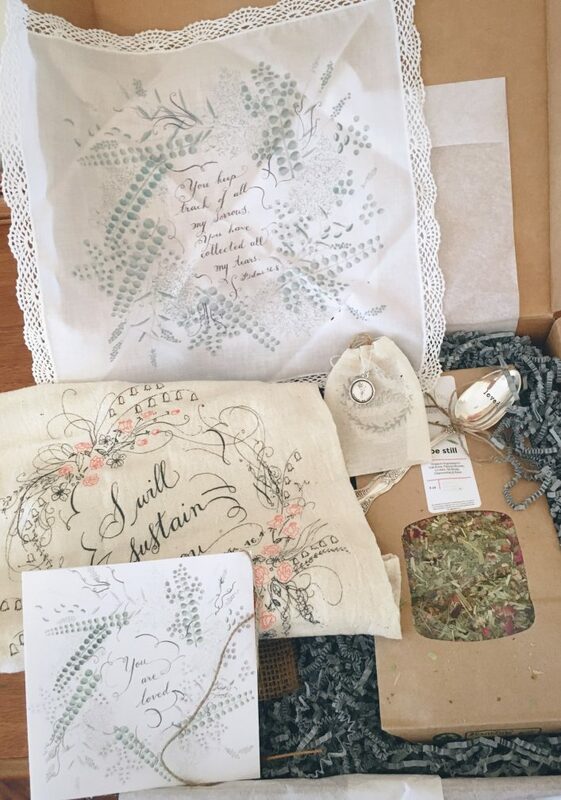 Editor’s Note: I recently had the pleasure of interviewing Johanna Mutz 30, of Denver, Colorado and her cousin and best friend Denise Wolfe, 35, of Cincinnati, Ohio, and discussing their new online store, Laurelbox. In the course of the back and forth, Johanna and Denise were kind enough to send me my own Laurelbox, filled with things they chose specifically for me and my losses. I opened the box today, on what would be the third birthday of my third son, a little boy named Trey who we lost at 13 weeks gestation. 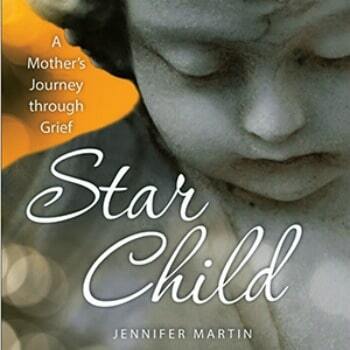 They were both aware that I’d lost my first son, Matthew, nearly six years ago the day after he was born, but knew nothing of my third child (and second loss). Still, in their purposed choosing from their shop of things to put in my box, they truly nourished my soul today…this day that no one but me seems to remember. There has been such a difference in support for the ‘neonatal’ loss of my first son compared to my ‘miscarriage’ of my third…many question how I could even compare the two. I don’t. I don’t have to. My mother’s heart loves them and misses them regardless of how long they were with me. [Tweet theme=”basic-full”] I began to hope and dream about them the second I found out I was carrying them, and those hopes and dreams didn’t die simply because they did. [/Tweet] They just wait for another world, and in the meantime, in this one, I miss them because they were my sons–period. The silver, “Forget Me Not” necklace in this box truly nourishes my soul today, as I imagine it would for many of you who also feel your precious one has been forgotten. I hope, after reading this article, you’ll explore their site and see how they may nourish yours as well. Several years later, however, the lives of three children touched these cousins so deeply that they knew there must be a way to reach the hearts of those grieving loved ones. In January 2014, Denise watched as one precious friend held her baby boy for the very last time before he passed away and then again, later that June, another little girl in Denise’s community passed away. Through her tears, Denise knew she had to find a way to let those mothers know they were seen and their grief was being honored and supported. 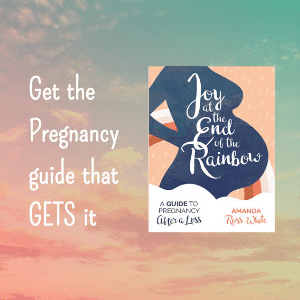 For Johanna, that November, she watched friends who were more like family lose their four-week-old baby girl and knew that the isolation she had felt when she miscarried was one she did not want her dear friends to know. December came, and both Denise and Johanna wanted to do something that honored their friends’ grief, and nourished their hearts and souls. Not finding many options for gifts that truly nourished the heart, soul and body of a hurting woman, Denise called Johanna with an idea to create such a gift, and Laurelbox was born. Their vision for Laurelboxes is simple but powerful—they believe that Jesus is immensely tender toward the hurting and that no one should be alone in their grief. They hope to empower and equip women with tools they need to walk through dark times with each other, and the focus of each box is to be a thoughtful and tender breath of community as it is opened. 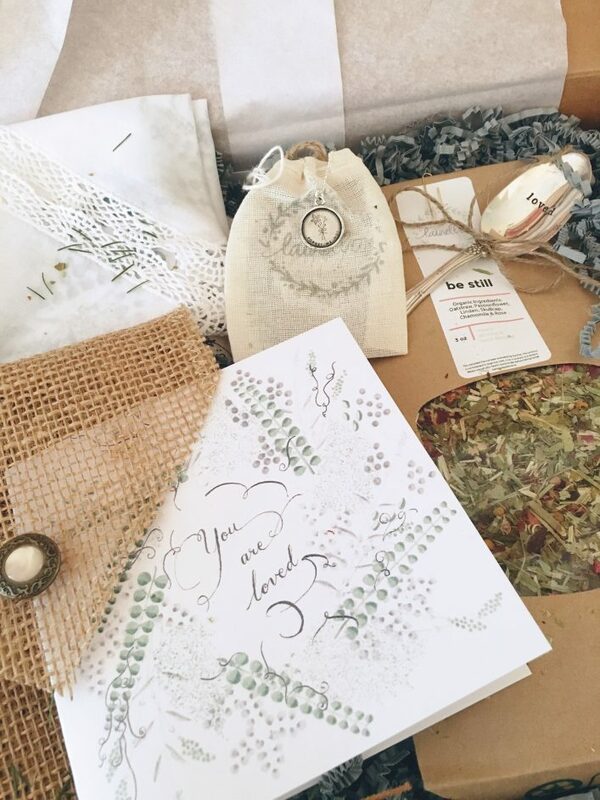 Laurelbox gifts reflect the cousins’ love for Jesus, vintage design and natural living. Their items are infused with tenderness toward grief. They offer a line of commemorative jewelry, as well as items to assist the grieving process, such as holistic essential oils and teas for helping with the emotions after a loss. Most items are hand-made at the Laurelbox office, but they also source other products from small, independent artisans who have joined with them to offer items that exclusively speak to a woman’s soul, body, home and family. As October is Pregnancy/Infant Loss Awareness month, Laurelbox has generously offered one of their gift boxes to Still Standing Magazine for a giveaway to one of our readers, as well as offered a code for our readers to use at checkout (emptyarms) that will give 15% off one of their boxes. This code runs through the end of October. If you are in need of soul nourishing, or know someone else who may be, this is a wonderful resource to which you can turn. To enter, simply visit Laurelbox’s Facebook page, like them and leave a post telling who you are missing. You can earn EXTRA entries if you do the same on our FB page. One commenter will be randomly chosen from all the comments on October 20 to receive the Laurelbox. Love this initiative. And love you too!